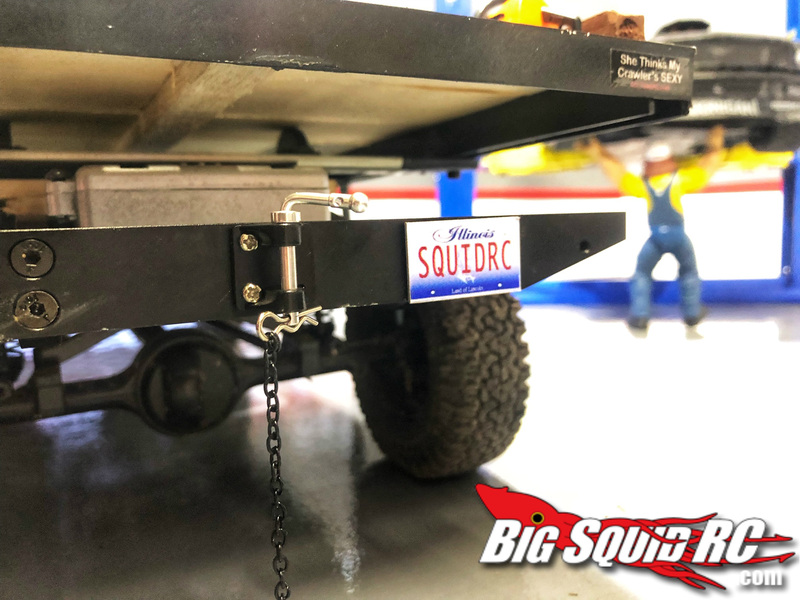 EVERYBODY’S SCALIN’ – 99 PROBLEMS BUT A HITCH AIN’T ONE « Big Squid RC – RC Car and Truck News, Reviews, Videos, and More! Hey everyone, this week has been full of, stuck in the house, RC work. A good portion of us in the states have been bunkered down to stay warm from the Mt. Everest like weather conditions. 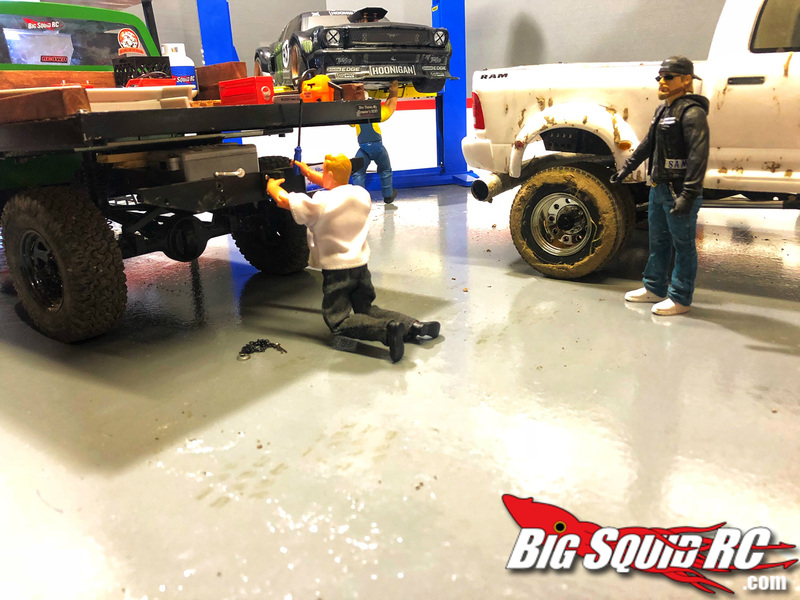 After this weeks weather the trip to Florida for the Ultimate Scale Truck Expo 2019 is looking better and better. And not being able to get out and hit the trails has me going crazy. To the point where I am purposely trying to annoy my wife because I have a serious case of cabin fever. Crawling over a few little bricks and other little house obstacles is ok for about 10 minutes but it gets old fast. Thankfully this Sunday is looking to be great weather for me to get out and get some product testing done! 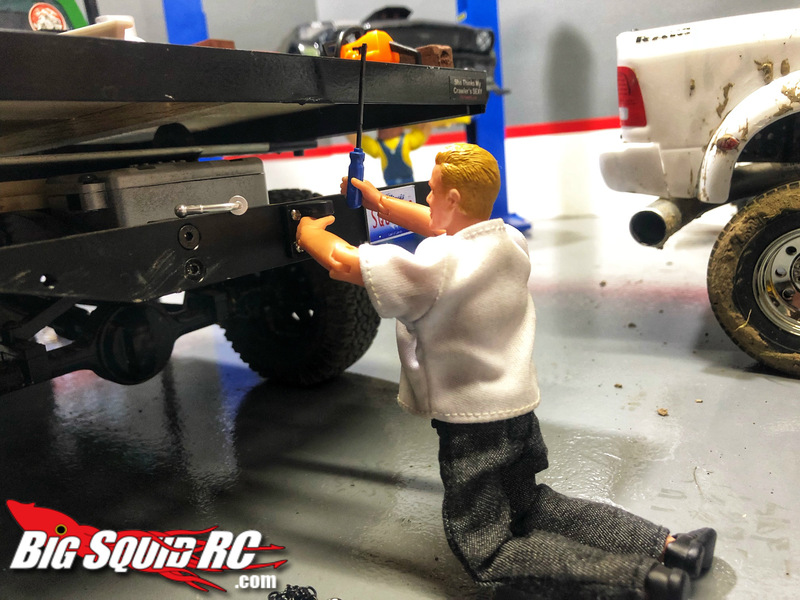 A couple of weeks ago I posted about the Xtra Speed 1:10 car trailer and having issues finding a hitch mount for the stock rear bumper on the RC4WD Gelande 2 LWB A.K.A The Farm Truck. And once again one of my Local Hobby Shops was there to save the day! Turns out the adjustable drop hitch from Yeah Racing is exactly what I needed for the Farm trucks rear bumper. Seven bucks later and about 3 minutes of work the Yeah Racing adjustable drop hitch was installed. I know not the most exciting or challenging scale part to add to a rig but let me tell you it has taken a lot of frustration of the scale table. In typical scaler fashion, complete one build and start on something else right? Well I may have added a new rig to our USTE 19 convoy if you will. 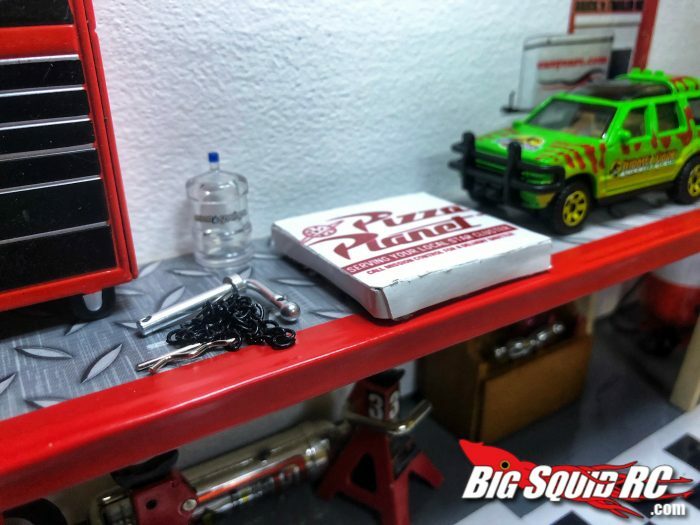 I am going to try my best to keep it a surprise and will only make a few teaser posts on the Big Squid RC Facebook page and my Instagram. Will have a full reveal the week before the Ultimate Scale Truck Expo this month! I will give you 2 hints, I am using a RC4WD Trailfinder 2 Long Wheel Base rig and it will look really good in slow motion. Alright everyone I need to cut this weeks Everybody’s Scalin’ a little short, I have to get back to digging out my 1.1 rigs from their ice and snow tombs. Till next week, have a great weekend and keep Scalin’!